With this new resort now a part of the Virtuoso consortium, the Riviera Nayarit has become the second destination in the nation with the most hotels with this distinction. These include: Four Seasons Resort Punta Mita, St. Regis Punta Mita Resort, Imanta Resort Punta de Mita and now Grand Velas Riviera Nayarit. On May 28, 2014, Grand Velas Riviera Nayarit received an entrée into the “Hotels & Resorts” program of the Virtuoso consortium, becoming the fourth hotel in the Riviera Nayarit to have earned this distinction. Now the destination has taken second place in the nation as the spot with the most Virtuoso properties. Virtuoso began in 1950 and today has become the leading travel consortium in the world, a spot they have occupied since the year 2000. Being a part of this group magnifies the possibilities for visitors coming not only to the Grand Velas, but also to the destination as a whole. Juan Vela, Vice President of Velas Resort, was thrilled to receive the much-awaited distinction. “I’m very thankful for the support we received in achieving this goal; this is one of the multiple benefits and the result of a strong alliance created between the Convention and Visitors Bureau and the Velas Resorts,” wrote Juan Vela. Albert M. Herrera, Vice President of Business Alliances for Virtuoso, was the bearer of these good tidings to the Velas Resorts. 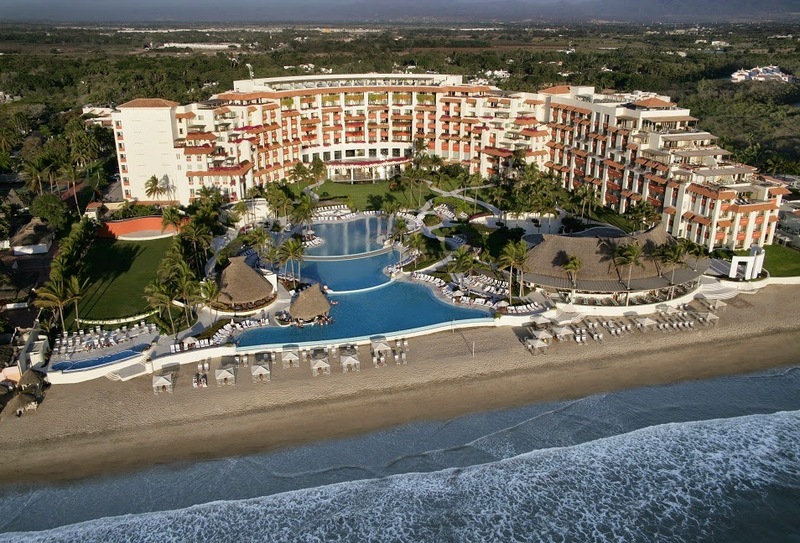 “The (Grand Velas Riviera Nayarit) complex will, without a doubt, be a marvelous addition to our program and we hope this relationship will be mutually beneficial,” wrote Herrera. Virtuoso is the leading purveyor of luxury in the tourism industry. This network has over 330 agencies with 7,200 elite advisors in 20 countries throughout North and South America, the Caribbean, Australia and New Zealand. Travelers who work with Virtuoso advisors have access to over 1,300 first class providers around the world, as well as exclusive services, experiences and products. The other three Virtuoso properties in the Riviera Nayarit include: Four Seasons Resort Punta Mita, St. Regis Punta Mita Resort and Imanta Resort Punta de Mita. The Riviera Nayarit CVB would like to extend its congratulations to Velas Resorts for the dedication to excellence that has led it to become a part of the exclusive Virtuoso network.